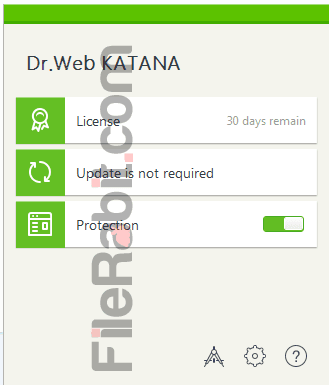 Dr.Web KATANA is light, powerful and smart security software that works perfectly to hunt malicious content easily. A new technology based security guard power up with next generation engine that should take minimum battery, RAM and CPU resources comparing to its competitors. Dr.Web developer team is sure that this is one of advanced technology based 7th generation that will monitor all process for appropriate activities. It has real-time monitoring features to regularly monitor suspicious and malicious activities through network connection. It will hunt malware attacks coming from any source including; USB flash drive, removable media, email spam or infected websites. If you have previous security software already installed, it does not infect the pre-installed one. The software is able to defend an offline PC that does not have any internet connection. Simply, the setup has already included necessary virus signature database updates. 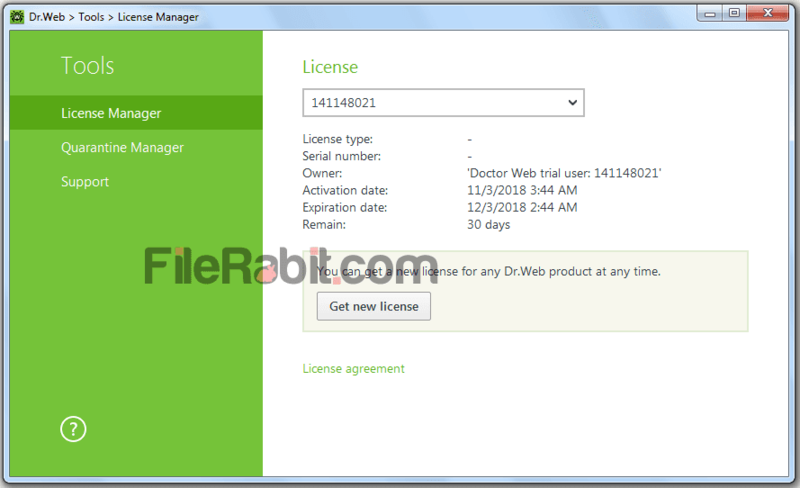 The application will block any harmful process without disturbing user interface. It has quarantine manager that will catch those harmful processes automatically. Smart: The smarter engine has abilities to keep your computer protected from malware attacks. 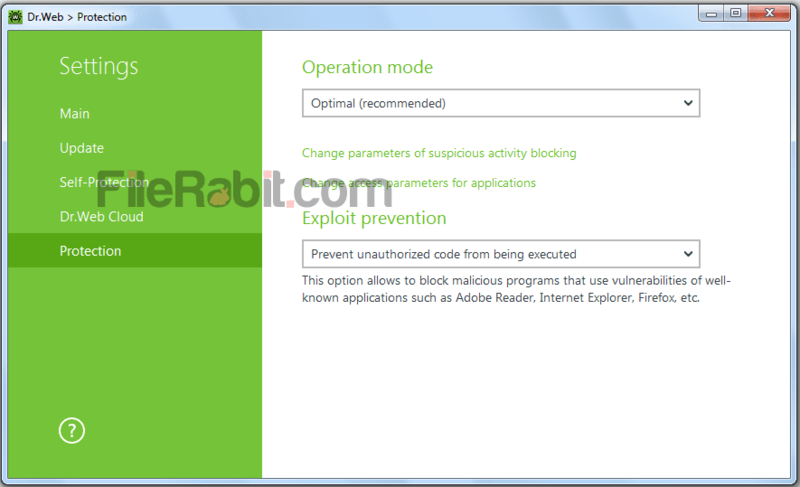 The auto protection mode will block malicious and suspicious process and move them to quarantine items. Light: The light on resources mode will silently work in system background without eating CPU, battery, RAM and other system resources. Even low specs computers can easily run Dr.Web Katana application. Hidden Mode: The installation does not put desktop icon and even there is no window appear after completion of setup. It shows only pop-up window above system date and time area. Finally, the virus and malware are unable to find and terminate it easily. Offline Mode: It works perfectly on both connected and offline computers. It includes all necessary and update files in setup so there are no worries for those computers that does not have any internet connection. At the end, we conclude that Dr. Web Katana is comprehensive and smarter application that has something different that other anti-malware apps. It will analyze system after installation, monitor processes in real-time mode and hunt malware attacks in silent mode. Even you can restore items from quarantine list that may be caught by mistake. 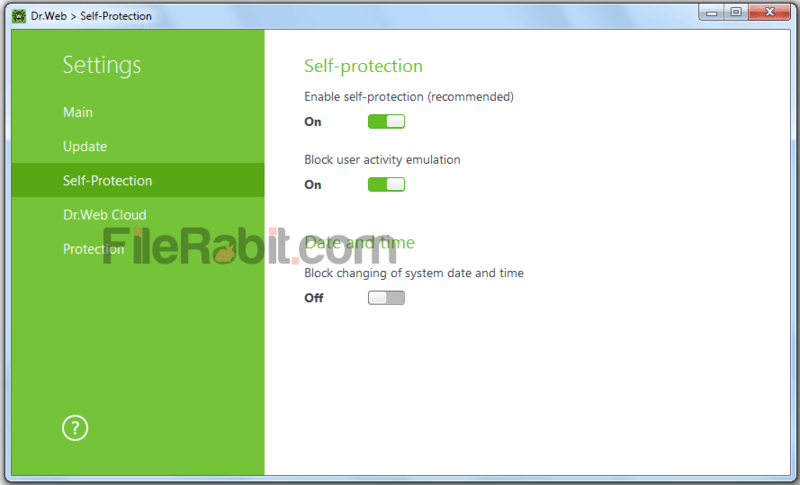 You can also disable protection from main window because the interface is just user friendly.